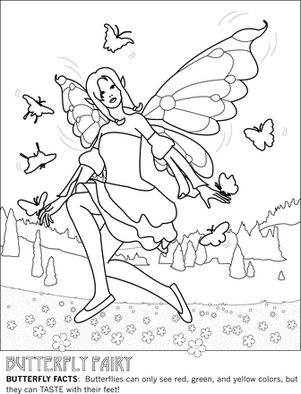 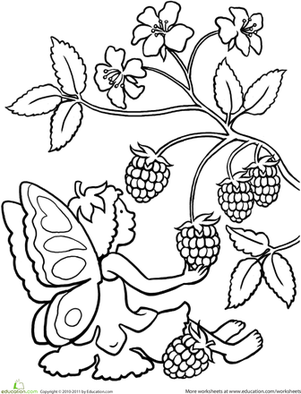 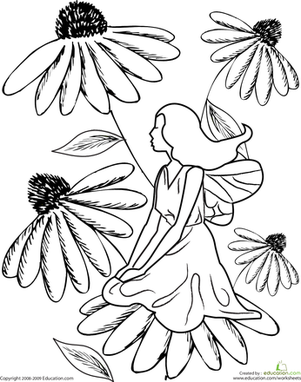 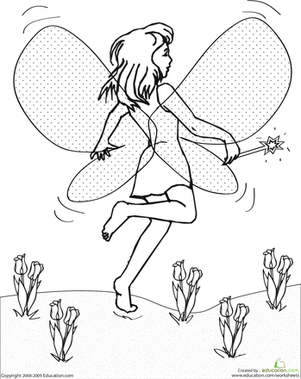 A pretty fairy and fluttering butterfly adorn this fantasy-themed coloring page. 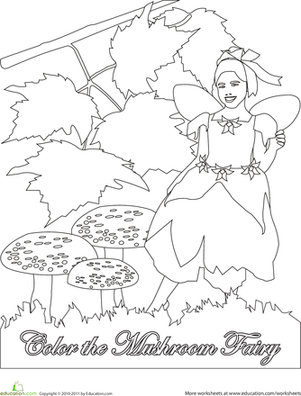 Encourage your first grader to liven up the scene with a bit of creative color! 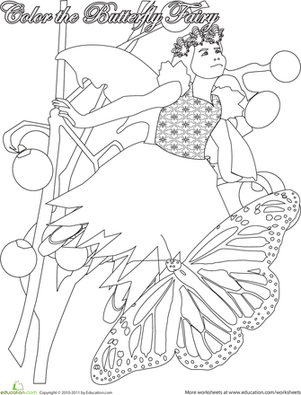 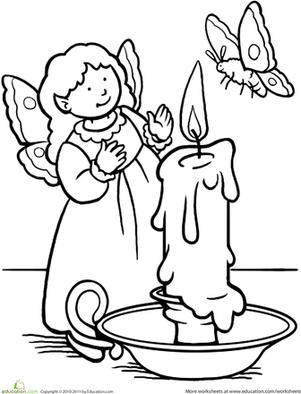 Invite your first grader to beautify this butterfly fairy! 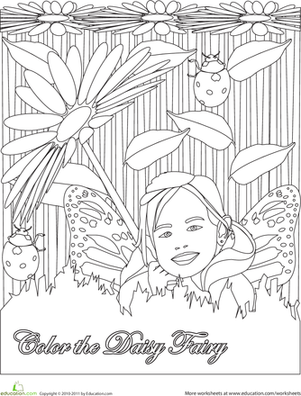 With just a few crayons and some persistence, she can put her own creative spin on this printable. 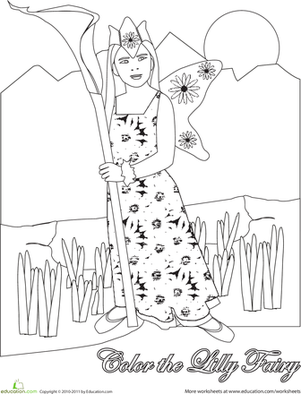 Color in a unique piece of butterfly-inspired art.